nla.pic-vn4269998 PIC P1029/25 LOC Album 935 William Hall, per M. Soames 2, taken at Port Arthur, 1874 [picture] 1874. 1 photograph on carte-de-visite mount : albumen ; 9.4 x 5.6 cm. on mount 10.5 x 6.3 cm. 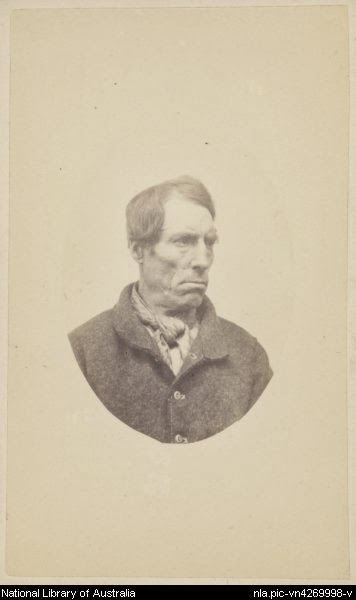 William Hall was photographed on discharge by Thomas Nevin at the MPO, Hobart Town Hall, 21 January 1874. William Hall discharged as pauper on 22 January 1875.